The KonMari Method is a decluttering and organization method created by Marie Kondo, the New York Times best-selling author of The Life-Changing Magic of Tidying Up and the creator of the Netflix series Tidying Up with Marie Kondo. KonMari asks you to set up your home to match the vision you have for your life. You address five major categories of belongings – clothing, books, paper, miscellaneous, and sentimental items. First you intentionally and intuitively decide what to own, and then you find a home for each belonging. The process is ultra simple yet deeply clarifying. KonMari is a once-in-a-lifetime reset. If done correctly and thoroughly, it is a rebound free. The goal is not to tidy forever. The goal is to be done with tidying, so you can get on with living your life! Once your home is in alignment with who you are and what you value, your mindset will dramatically change and your energy will soar. You will never want to go back to cluttered living. Join us for an evening of learning KonMari, the Japanese Art of Decluttering and Organizing. 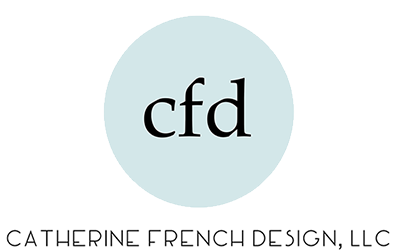 The workshop will be held at Catherine French Design and will include a glass of wine. The workshop leader Holly Bourne is North Carolina’s first Certified KonMari Consultant, trained directly under Marie Kondo. She is passionate about empowering people to lead joyful lives by creating peaceful, clutter-free homes. To attend please click the link and go to the signup page.